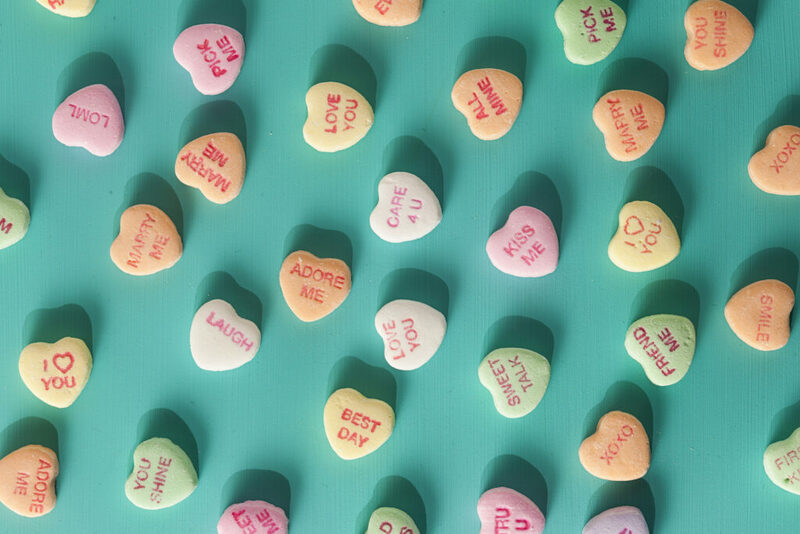 For the first time in 153 years, classic Sweethearts candy hearts won’t be available in stores, but before you say “Miss You” to the sugary snacks for your soulmate, consider the alternatives. Yep, you can show “All the Feels” with Krispy Kreme’s conversation heart donuts (hello, PR gold! ), or skip the calories by showering your sweetie with terms of endearment. Here’s a brief list of romantic endearments sure to please the word nerd in your life. We defined a few for fun, too! Do you have any terms to add? The true beauty of the language of love is that you can express yourself however you see fit! So go tell your cabbage they’re your BAE. Are you a home builder or agent trying to market and sell a new or resale home? Are you an interior designer or architect hoping to showcase your beautiful work? If so, tune in! We invited our talented friend Natalia Robert to share a few tips about working with a photographer. 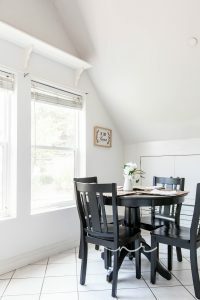 Standing out in the real estate market these days can be tough, but having stellar professional photos for your listing is one sure-fire way to get buys to stop their scrolling. While each professional photographer works a bit differently, there are some things you can do to always make the process smooth and successful! Ask questions. This may seem obvious, but many folks make assumptions about how a photographer works, what’s included in the rates, and what style of photos will be delivered. Often, this can lead to frustrations when expectations aren’t met. Do you have a really tight timeline or very limited availability for the listing property? Do you want to make sure to get dusk photos so that the custom lighting in the backyard is shown off well? 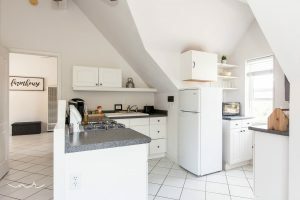 Do you always include a video tour with your listings and need the photographer to provide that as well? All of these are examples of things that should be discussed with your photographer so that expectations are met and there’s no confusion along the way. Before working with a new photographer, be sure to ask as many questions as possible! Don’t be afraid to request a chat on the phone so that you can talk through any special requests, last minute questions, and just to get a feel for what type of person they are to work with. Be sure to request samples of their work online, and confirm that all your needs are included in their quote. If you’re in the process of finding a photographer that works well for you, you may want to take a few minutes to create a list of questions for each candidate so that you can make sure all your questions or concerns are addressed. Prepare the space for photos. It’s easy for us to lose sight of the bits of clutter that we have in our home, but photos will make all those bits of clutter stand out. 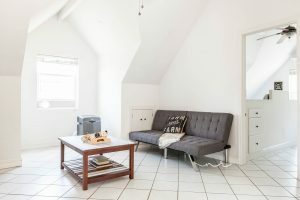 To ensure getting photos that show the home in its best light, have a chat with the homeowners about decluttering the spaces as much as possible. 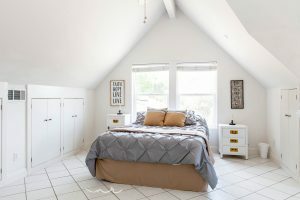 It’s okay to hide things in closets for the photoshoot if it’s going to show off those beautiful kitchen countertops or the custom built-in shelving in a living room! 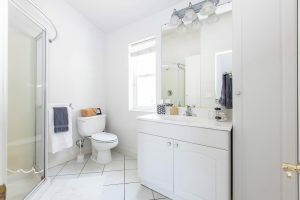 Once the homeowner declutters, arrive at the shoot early to confirm that the spaces look clean and fresh. This is the ideal time to suggest any last minute changes to the homeowners – like hiding things in the closet. You may also want to consider bringing a few of your staging touches to any special listings that you want to showcase. Things like flowers, some clean place settings, a blanket thrown over the back of a couch, or a magazine open on the coffee table are all touches that make the home feel lived-in and welcoming. Keep the relationship going. Once you find a photographer that works well with your needs, don’t lose them! If you’re happy with the photos delivered, a quick note via text or email to let them know that is always greatly appreciated. If you were happy enough with the photos to refer them to other agents, please do! 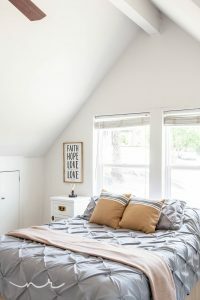 Working with the same photographer for your home listings can create a consistent expectation for your clients – they know they’ll have quality photos for their listing if they work with you. Also, working consistently with the same photographer creates a solid professional relationship, reinforcing a strong professional network that just adds value for your clients. Finding quality professionals that reflect your business values can be really tough. When searching for a professional photographer for your listings, be sure to follow the three steps above to create lasting relationships. It all really comes down to open communication, both with other professionals and with your clients. Being open and honest from day one will ensure that all expectations are clear and, ultimately, met. About Natalia Robert: Hey there, I’m Natalia! 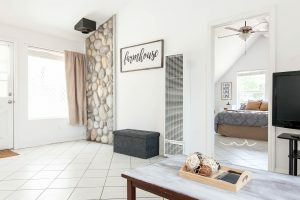 I’m a lifestyle photographer specializing in interiors, architecture, and branding for designers, publications, and unique properties worldwide. With a whole lot of wanderlust, I’m based in California but always looking for my next adventure! You can view my work and learn more about me a t http://nataliarobert.com, and follow my daily adventures on Instagram at @nataliarobertphoto. We love our job because we get to promote the causes of professionals in the wellness space – from doctors to medical devices to athletes. If you’re an expert in some facet of the red-hot wellness space, there’s an opportunity for you to see your name in ink! Read below for ideas and let the brainstorm begin. The food/nutrition story. Whether you’re a doctor or a triathlete, food and nutrition is part of your realm. Things you’d never eat, things you eat every day, tips for dining out, five key nutrients you might be neglecting, your favorite nutritious dinner recipes, your favorite recipes before a long run, food prep tips, the list goes on. This is a shining moment for anyone wanting to talk about nutrition. Media outlets and their readers especially want to hear from someone aspirational like an athlete, or a doctor who lends credibility. The trend story. This can apply to any wellness professional, no matter which facet of the industry they fall in. If you’re a doctor, are you seeing a rise in a particular malady? If you’re a fitness expert, is there any concerning or uplifting trend you’ve noticed? The “top five questions” story. What are the most common five questions you’re asked in your profession? The timely story. What cycles do you see in your industry? Is there an extra-busy time of year? For example, a doctor might write an article about how to gear up for flu season. 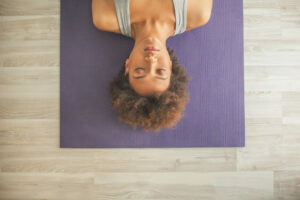 A yoga instructor might write about six ways to participate in International Day of Yoga. A medical device organization might create a story about a disease the device was created to treat, timed to that disease’s awareness day. The explainer story. In the world of medicine, this could be a layman’s explanation of an ailment and how to prevent it. In the world of athletics, it could be about how to train for your first half marathon or how to tune your bike in preparation for race day. The technology story. How has technology influenced your industry over the past few years? Does it make it easier for patients to access medication? For doctors to share medical histories? For runners to monitor their calorie intake and sleep? No matter the impact, be sure to explain why readers should care. The data-inspired story. Has your company or a reputable organization in your space released compelling research recently? This is an opportunity for your organization to join the conversation and bring some context to the data. Hopefully your mind is churning with ideas now. If you need help actually writing the thing, we’re happy to help! We can also help you identify outlets and journalists who might be interested in running your story. Are you interested in working with WordPop Public Relations? Our team has nearly 20 years of combined PR and marketing experience and has been helping champions of happy, healthy and smart living to build and execute social media and PR plans since the firm opened in 2011. WordPop PR has worked with several organizations in the home building, design, startup and professional services sectors, helping them gain exposure through digital, TV and print placements, as well as blogs, social media channels and email newsletters. Before diving into a campaign, WordPop spends time digging into an organization’s brand personality and ultimate goals to make sure the tactics and strategy line up with a desired end result. Take the survey and get started on your PR journey! Is your business being reviewed online? If so, it’s time to “hug your haters.” At Social Media Marketing World earlier this week, a talented panel of speakers including Daniel Lemin of Convince and Convert, Tyler Anderson of Casual Fridays, Martin Shervington of PlusYourBusiness.com, Jacob Sapochnick of Enchanting Lawyer, LLC, and Kari Embree of Green Flash Brewing Co. shared tips on attracting positive online reviews and addressing negative reviews. If someone leaves a bad review and you can’t make them happy after two attempts, stop trying. Read the review and really understand what the customers wants. Don’t rely on a blanket reply. Take the time to understand what the customer is thinking and hoping to achieve, then respond to them. The panel suggested picking up a copy of Jay Baer’s book Hug Your Haters for more insight on embracing customer complaints. Don’t ask people to change a negative review, even if you fix their problem. The employee on your team that worked with the customer should ask for the review. If the customer is interested and willing to leave a review, send them a link/survey to complete or a link to your review site (like Yelp). When asking for a review, focus on impact. Let the customer know that you’ve enjoyed working with them and want to help more people/businesses like them so you can make a difference. Make them feel like they’re helping you help other business owners/people just like them. Don’t send a review link to everyone you know. Be strategic about who you ask. If possible, get customers to write stories on your behalf. After all, you should be telling stories about your consumer, not yourself. In today’s age, content should be co-created with the customer’s input. Cards in the mail are a nice way to thank people and ask for a review. Don’t offer a discount in exchange for a review. Approximately 75 percent of Yelp traffic comes from people doing a Google search, then clicking on Yelp. There’s word that Google is pushing Yelp out or down in search results so that Google reviews appear first. Are your customers or former employees rating you on websites that you’re not monitoring such as the employer review and job search site, Glassdoor? Keep your eyes open! As a public relations professional, I can’t help but add my two cents about leveraging customer reviews for PR. This wasn’t covered during the discussion, but it’s worth considering. If your customer leaves a glowing review, consider asking them for a testimonial. I often interview my clients’ customers, asking them about their journey and experience. These interviews can lead to wonderful customer stories — usable as blog posts or as storylines for pitching the media. Facebook also announced that Pages are prohibited from tagging or asking people to tag themselves in content that they are not depicted in. For instance, if you release a new product, you can’t ask people tag themselves in exchange for a chance to win a prize. Click here to read Facebook’s official announcement. Click here to read Facebook’s Promotion Guidelines. Today I’m celebrating 1,000 Facebook likes for client/San Diego new home community Del Sur! Yes, I worked to grow the following, but more importantly, I worked to grow community interaction… and boy do these folks talk, tag and have fun! At the end of the day, you want an online community that values your page. In return, they’ll participate. Fans value the Del Sur page because I’ve paid close attention to what they like. For instance, they love community photos and event updates. They also love to be the first to know about things. The more relevant content I can provide, the happier they are…. and the page grows. It’s not a simple task, but doable if you pay attention to the people.